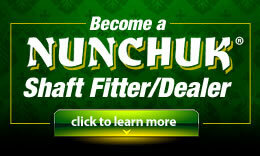 Looking for the Best Custom Fitters, Custom Golf Club Buliders, Pro Shops, and Golf Repair Shops in Texas? 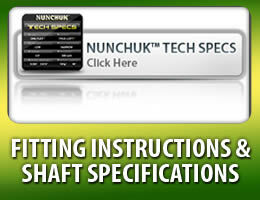 See our complete list below of NUNCHUK authorized custom golf fitters and dealers located right here in Texas. "Excited to be using Nunchuk shafts in my driver through wedge. Better performance, consistency and feel. #MoreFairways #MoreGreens Follow them on Facebook at Nunchuk Precision Golf Shafts. Absolutely LOVE THEM!!" "Before you get back into your usual Winter Golf Ritual, head down to your nearest Texas custom golf shop and test drive the complete NUNCHUK Precision Shaft system. You'll find yourself hitting straighter, longer and with MUCH more precision and accuracy. Best of all, you can throw away all those complicated swing 'techniques' you can never seem to master -- with a NUNCHUK you literally just aim and swing."